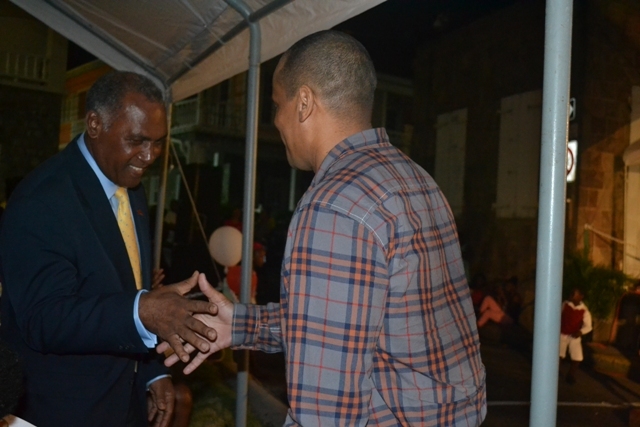 NIA CHARLESTOWN NEVIS (December 07, 2015) — Premier of Nevis Hon. Vance Amory expressed the view that Nevisians still recognise the tradition and importance of Christmas. 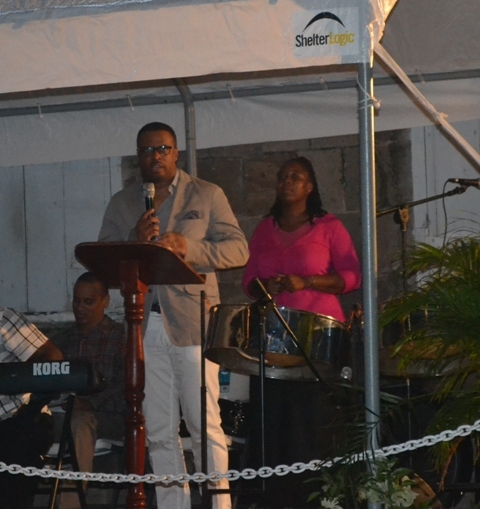 He was at the time delivering remarks at the Department of Social Development’s annual Christmas Tree Lighting Ceremony in Charlestown, the Parish of St. Paul’s, on December 02, 2015. The Patron was Mr. Stephen Hanley. Mr. Amory continued that the story of Christmas is an expression of peace and love on earth but amidst the increasing violence of the world, many people no longer know what it means to have peace. Traditionally, he said, Christmas celebrations centered more on singing but there is greater variety in today’s presentation. Nonetheless, the underlying message remains the same, “peace and goodwill amongst men”. According to Mr. Amory, the Nevis Island Administration pledged to make life better for Nevisians. As a result, December 18, all commercial purchases will be free of the Value Added Tax (VAT) in an effort to make Nevisians more comfortable during the Christmas season. He also said that other initiatives are in place to make the upcoming year a prosperous one for the people. Mr. Amory, nonetheless, appealed to Nevisians to make the society a peaceful one by seeking to eliminate crime even as he extends his good wishes for the Christmas Season and the upcoming New Year. Meanwhile, Deputy Premier and Minister of Social Development Hon. Mark Brantley said the Christmas Tree Lighting Ceremony signals the start of the season for Nevisians to renew their faith and live a life that demonstrates camaraderie, peace and the brotherhood of Christmas. On the other hand, Area Representative for the Parish of St. Paul’s Hon. Robelto Hector echoed the strain that the message of Christmas and the birth of Christ remains one of peace and love. He said that his prayer for the Christmas season is for both parents and politicians to recognise their responsibilities and recommit themselves to their children and their citizens. Mr. Hector also took the opportunity to express his gratitude to the Patron, Mr. Stephen Hanley, whose leadership qualities benefitted not only the people of Charlestown but Nevisians on a whole.